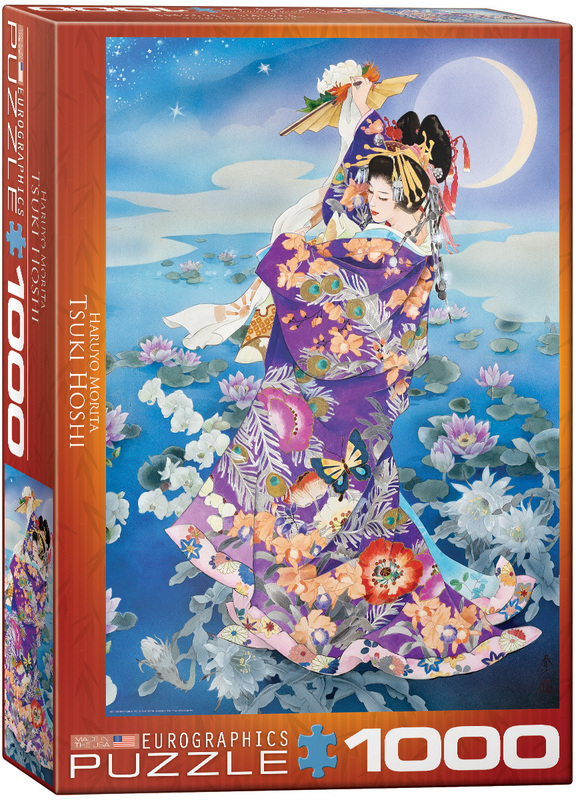 Many of Haruyo's paintings hail from her deep appreciation of the style, flamboyance and drama of Kabuki theatre. Haruyo herself trained for many years as a Kimono painter under rigorous schooling. This training naturally imbued her with many of the design skills, displayed in her art, which are so obviously redolent of a unique national heritage. Strong high-quality puzzle pieces. Made from recycled board and printed with vegetable based ink. 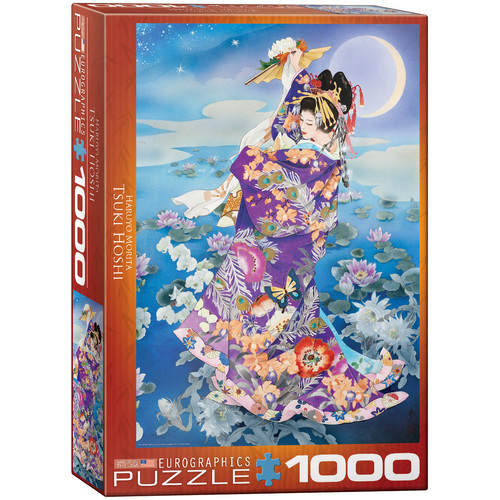 This superior quality puzzle will delight and educate all at the same time.